In an exciting new partnership, Alberfield takes on a new role as WA channel partner to CoverTel Power for Hydrogenics, bringing the efficiency and sustainability of hydrogen power systems to WA. Hydrogenics is an international company that has been at the forefront of the hydrogen evolution since 1947 and is now represented in Australia by CoverTel Power and in Western Australia by Alberfield. Hydrogenics’ hydrogen power systems use hydrogen and oxygen generated by electrolysers and compressors to power hydrogen fuel cells (HFCs) which then generate electricity. At very high rates of efficiency and with zero emissions, hydrogen power systems are an excellent sustainable energy solution and can be used for a wide variety of applications including onsite generation, mobility, energy storage and back‐up power. When used in tandem with solar, wind or other renewable energy sources, these hydrogen power systems can enable total off‐grid power supply. 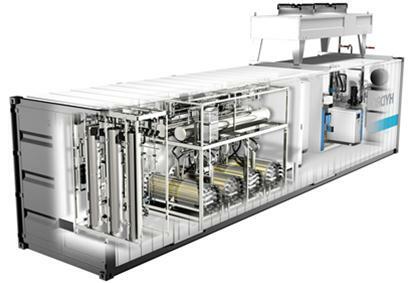 Alberfield will draw on the combined resources and knowledge of Alberfield, Covertel Power and Hydrogenics to find a Hydrogen Power System solution that works for you.